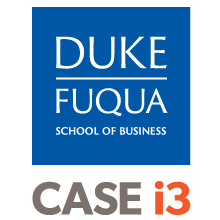 CASE i3 operates a robust leadership and career development program for all CASE i3 Fellows and Associates. The program is designed to help students identify their goals and evaluate the skill and experience gaps they want to fill while at Fuqua. We also share job listings from within our network and do 1:1 career coaching. CASE i3 has also produced a 30-page career guide on impact investing careers, which is available for all current Fuqua students from MacKenzie Sullivan, Sector Director for Social Impact and Sustainability Careers in the Career Management Center at Fuqua. -Looking at other databases of funds, organizations and industry networks, such as those listed at the end of the CASEi3 100. -Visiting individual fund websites to see who they have invested in, have investments from, or partner with. -Visiting websites for intermediaries like accelerators, incubators, etc. to see what groups they work with. An extensive global list of these is available in the Regional Guides CASE i3 produced for the Toniic EGuide on Early-Stage Global Impact Investing.